Adventure/Drama, Soviet Union/Japan, 1975, 144 min. 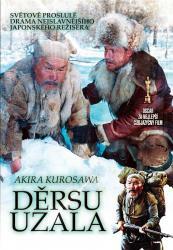 Synopsis A Russian army explorer who is rescued in Siberia by a rugged Asian hunter renews his friendship with the woodsman years later when he returns as the head of a larger expedition. The hunter finds that all of his nature lore is of no help when he accompanies the explorer back to civilization.